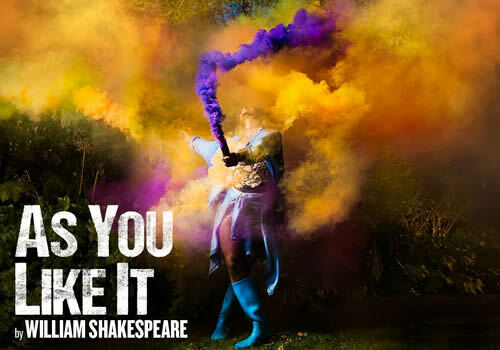 Max Webster directs one of Shakespeare’s greatest comedies As You Like It at Regent’s Park Open Air Theatre for a month-long summer season. Featuring as part of theatre’s highly anticipated 2018 season, which includes a revival of Peter Pan and restaging of musical Little Shop of Horrors, the play runs throughout July. One of the Bard’s best known plays, As You Like It takes place in the mythical Forest of Arden, where anything is possible and absolutely anything is permissible. As the usurping Duke Frederick banishes Duke Senior and then his daughter Rosalind, a twisted tale of lies, rivalry, mistaken identity, but ultimately romance ensues. Casting includes Olivia Vinall as Rosalind, Edward Hogg as Orlando, Keziah Joseph as Celia and Beruce Khan as Oliver, as well as Simon Armstrong as Duke Frederick/Duke Senior, Jack Beale as Le Beau, Maureen Beattie as Jacques, Amy Booth-Steel as Audrey, Me'sha Bryan as Amiens, Danny Kirrane as Touchstone, Gary Lilburn as Adam/Martext, Joanne McGuinness as Phoebe, Kristian Phillips as Charles the Wrestler/Jacques De Boys, Jacade Simpson as Silvius, John Stahl as Corin and Silas Wyatt-Barke as William. As You Like It is directed by Max Webster, who recently directed the stage adaptation of Fanny & Alexander at the Old Vic Theatre. Further credits include Dr Seuss’s The Lorax, Cover My Tracks, James and the Giant Peach and To Kill a Mockingbird. The production also features movement direction by Polly Bennett, design by Naomi Dawson, lighting design by Lee Curran and sound design by Gareth Fry, as well as compositions by Charlie Fink (Noah and the Whale). A warm, open-hearted and thrilling production, As You Like It subverts the traditional rules of romance to discover what it truly means to be in love. The production plays at Regent’s Park Open Air Theatre for a strictly limited season, from July 6th to July 28th 2018, with an official opening on July 11th 2018. Children under the age of 4 will not be admitted into the theatre. Click here for the Regents Park Open Air Theatre seating chart and seat price guide.